On this date in 1600, the emergent Tokugawa Shogunate beheaded three men as rebels in Kyoto after they lost one of the pivotal battles in Japanese history. The Battle of Sekigahara, on Oct. 21 of that same year, had pitted the shogunate’s founder Tokugawa Ieyasu against a coalition known as the Western Army. This was the culmination of Japan’s bloody process of national unification. The preceding ruler, Toyotomi Hideyoshi, had more or less unified Japan under central authority to end a century of civil war. But when Hideyoshi shuffled off leaving a five-year-old heir, a squabbling coterie of regents began elbowing for position. The political scene eventually crystallized into one of those regents — the said Tokugawa Ieyasu — against all the others. Give yourself a gold star if you guessed that the guys who had their heads lopped off by the Tokugawa Shogunate played for the “all others” team. 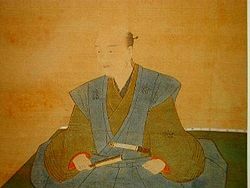 Mitsunari failed in a 1599 assassination bid on Ieyasu, and so the two came to outright warfare the following year — a war that Ieyasu economically won by routing Mitsunari at the Battle of Sekigahara. That, in turn, cleared the way for Tokugawa Ieyasu eventually to take the title of shogun and found his eponymous dynasty — a dynasty whose intellectuals circled that decisive battle as the keystone in the arch. Captured after Sekigahara, the “evildoer” Mitsunari was beheaded this date alongside two of his allies: a Christian convert named Konishi Yukinaga, and Ankokuji Ekei of the powerful Mori clan. * Ishida Mitsunari wasn’t one of the regents; rather, the anti-Ieyasu regents ended up adhering to him.